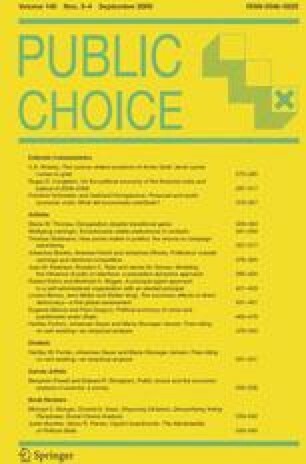 This paper deals with the impact of electoral competition on politicians’ outside earnings. In our framework, politicians face a tradeoff between allocating their time to political effort or to an alternative use generating outside earnings. The main hypothesis is that the amount of time spent on outside work is negatively related to the degree of electoral competition. We test this hypothesis using a new dataset on outside earnings of members of the German federal assembly and find that politicians facing low competition have substantially higher outside earnings. Bundestag (2006). Act on the legal status of Members of the German Bundestag. http://www.bundestag.de/htdocs_e/parliament/function/legal/memlaw.pdf. Bundestag (2007). Members of the German Bundestag. http://www.bundestag.de/htdocs_e/members/mdb/index.html.